Have an upcoming HVAC appointment and wondering what would be some helpful questions to ask the company? A qualified HVAC company is your ally in keeping your home’s heating, ventilation and air conditioning functioning properly. Unfortunately because there are so many HVAC companies in Florida, homeowners may have to be savvier in order to get the highest quality work at the best, most fair price. The following questions will help you find an honest and reputable HVAC company that you can trust. What is Wrong With My HVAC Unit? Your HVAC company should be able to explain to you in layman’s terms exactly what is wrong with your HVAC system and how they are going to repair it. Even if you aren’t a heating and cooling expert, the answers should still make common sense. If the technician refuses to answer your questions, insists on using confusing jargon, or keeps adding to the list of repairs, you may want a second opinion. Do You Guarantee Your HVAC Work? 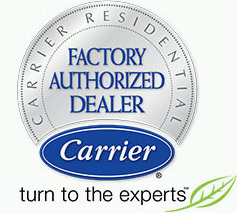 Most reputable heating and cooling contractors offer warranties on new equipment. In some cases, a contractor may even provide limited guarantees on workmanship. You should be cautious about any heating and cooling contractor that does not offer guarantees or who refuses to provide their policy. At Palm Air, we offer an Extended Warranty that ensures that you are always provided with the highest in quality service and top-of-the-line products. When you ask the HVAC company for a written estimate, you could also research testimonials or reviews online. Curiosity isn’t bad thing! If you feel like you are talking to an unreliable source, look elsewhere. It is also a good idea to contact your local Better Business Bureau or online reviews to see if there is a history of complaints against the contractor. Are You Licensed with NATE Certified Technicians? HVAC technicians are required to be licensed in the majority of states. You should never entrust your HVAC system to an unlicensed contractor. 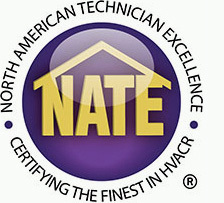 We hire only NATE certified technicians to service your home comfort systems. Still worried about asking the right questions to your HVAC company during your heating and cooling appointment. Contact us now and we’ll get back to you as soon as possible.